I really wanted to do things to make this trip extra super special for Sally. I know she is 2.5 and probably will not remember it, but it makes me happy :) I had heard about "Tinkerbell Gifts". 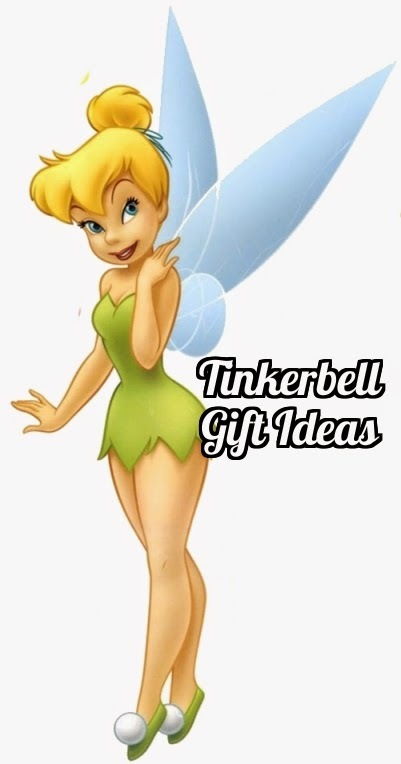 What are Tinkerbell Gifts? They are little presents that tink leaves in your hotel room each day during your Disney trip. They are brought by you (not free from Disney World!) and can be a great way to reward good behavior and save money at the same time. Since Sally is so young, its hard to have "rules" for her to follow, but we do expect her to behave during our trip and listen to us. My plan is to have a gift waiting for her each morning when she wakes up and occasionally in the afternoons before we head to dinner and back to the park. *I like to give pajamas on some days. You can find really cute Disney themed pajamas at Target, The Disney Store, JC Penny, etc. *Snacks, sunglasses, candy, small toys, stuffed characters, etc. are all fun ideas. If you keep your eyes open, you will start seeing Disney stuff everywhere...$1 Store, $1 Spot at Target, Wal-Mart party section, etc. *Glow sticks or light up toys make great gifts and bringing them from home will save you a ton of money! *If you are doing a Princess meal, consider getting your little girl a princess dress/tiara to wear. They will feel super special. Here are some free printable tags. 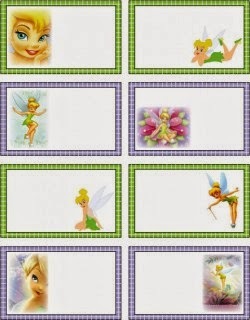 You can write a message from Tink. Printable Here.